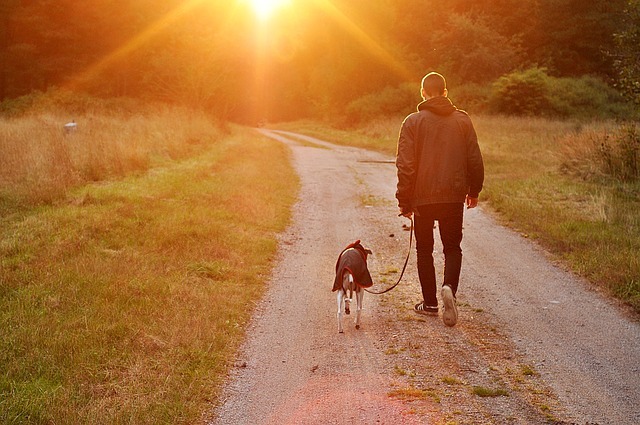 As most pet owners know, a vacation is great, but a vacation with your beloved furry friend is even better. When deciding on your next trip, why not also consider bringing along Fido or perhaps even Whiskers? Your pets bring you endless joy and comfort after a long, hard day at work or school, so why not reward them with a vacation as well? You all deserve some time off enjoying a new, fun-filled adventure together. Of course, a vacation with your pet does require a bit more planning than if you were going on a trip solo or with your family. However, there are some tricks and tips worth utilizing to ensure you spend more time having a ball with your furry friends and less time stressed out on your next pet-inclusive vacay. 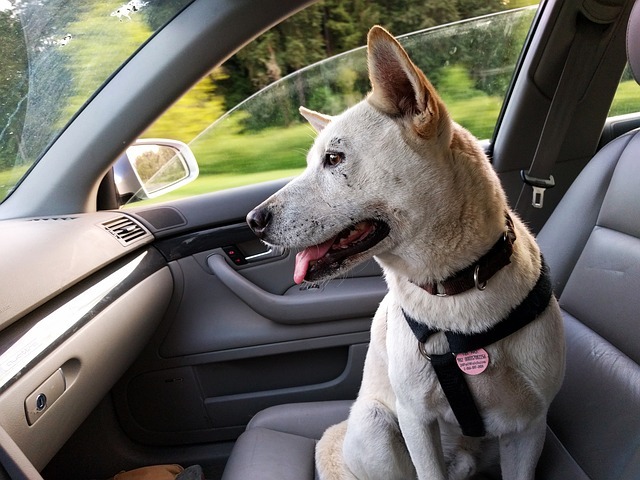 Purchase a harness or pet carrier to secure them to their seat properly. When you roll down the windows, avoid eye injuries by not rolling them all the way down. Avoid holding your pet in your lap as you drive; it’s illegal in some states and can cause serious injury should you get into an accident. Keep your pets home when the weather becomes too extreme. Consider a seat protector for long journeys to keep your car odor and fur-free. Driving with your pet across the state or even country is one of the funnest journeys you can take with them, especially as you watch them enjoy new smells and sights. Keep the fun rolling by always taking the time to make sure your pet is adequately secured and safe within your vehicle. And don’t forget to crank their favorite tunes. Speaking of road trips, RVing with your pet is a fantastic way to get them back to their roots. They can enjoy tall, thick forests, a dip in a warm stream, and of course, roll around in the best kind of dirt. Seeing your pet thoroughly enjoy themselves is part of the vacation experience. However, there are still some things to keep in mind before heading out to the nearest campsite or national park. Your pet should always wear a collar with up-to-date tags, and you should definitely consider getting them microchipped before venturing out and about. You’ll thank yourself if they do happen to get lost while RVing or during any other kind of outing. Also, as some RV experts explain, “Traveling can be stressful for pets, particularly those who are new to it … keeping them hydrated is an important part to the assimilation process … you can also decrease the stress your pet experiences by simply talking to them. If you show them you are relaxed, they too will relax.” Keeping your pet healthy and happy can make the experience better for everyone. Pack plenty of water, food, treats, and blankets, as supplies can be far and few when out in the woods. If your dog or cat tends to get cold when the sun goes down, definitely bring some sweaters as it gets much colder up in the mountains at night. You also need to be very vigilant throughout your stay to make sure your pet doesn’t end up rolling around in poison ivy or eating some questionable — sometimes deadly — mushrooms. It can be challenging to get to a veterinary clinic when you’re stuck hours outside of the nearest town. Moreover, be sure to check around the surrounding area and local town (before you lose cell service) for the nearest vet clinic just in case an emergency does occur. 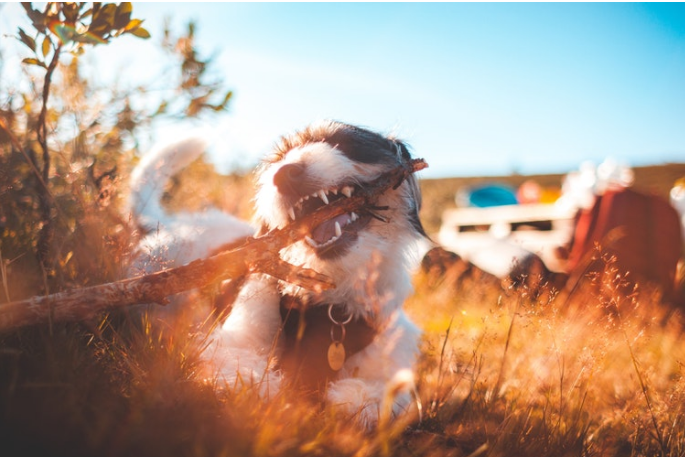 Finding ways to tend to your pet’s needs might get a bit tricky while camping, but it’ll ensure that they have just as much fun as you. After all, this is also a vacation for your pet, so it’s important to make it the least stressful as possible! It might take some time and patience, but soon you’ll all be enjoying some roasted hot dogs and burgers together under the stars. Another exciting part about bringing along your pet is the opportunity to meet other fellow pet owners and their furry friends enjoying a vacation as well. Your pet gets to make new friends, and your kids can enjoy interacting with different dogs and cats. However, it’s important to keep in mind that not all pets are created equal. Your pet might be extremely friendly and sociable, which you and your kids can get used to. This can create future problems as your kids may begin to assume that all other animals are as equally open and friendly, making it a recipe for disaster for everyone involved. Remind your kids (and yourself) to always ask the owner before petting a dog or cat (or lizard or snake). Even if a pet looks friendly, they might not be. Teach your kids that sometimes it’s better to enjoy a pet from a distance. Greet new pets slowly and teach your child to move slowly and give the pet space. Let a pet sniff your hand before you pet it to familiarize yourself with one another (remember animals communicate differently than us!). Teach your kids to read a pet’s body language. Pets are usually pretty good at telling us when they need some distance. If a pet has a treat or toy, give them space to enjoy it. Speaking of treats, show kids that when giving treats, use a flat palm with the fingers held together. Never scream at or run away from a dog as loud noises or sudden movements can trigger their defense mechanism (and potentially cause an injury). Pets shouldn’t be left alone with children under the age of five, considering that little ones (as well as dogs) can still be unpredictable. Let pets teach your kids something new. Showing your kids how to respect pets can give them a respect for all living things: animals, people, and even the planet. While all of that might seem like an excessive amount of rules to follow when meeting new animals, they’re essential to ensuring everyone starts off on the right paw. Just remember, safety (and manners) first, and soon you, your kids, and pets will be making new, lifelong friends. Road trips and camping are great examples of classically fun ways to enjoy some vacation time with your beloved pet. However, if you find yourself looking for something a little different, why not consider trying an unusual vacation with your furry friends? From enjoying a chartered fishing expedition (Whiskers would definitely be eyeing all those fish) to signing up for some surfing lessons with Fido, thinking outside the box can make some fantastic and unique memories that you can all cherish and look back on. If you’re considering a somewhat unconventional vacay with your pet, the right gear is going to be the most important factor when getting ready to set sail together. You’ll likely have to invest in some booties, swim gear, life vests, and most definitely a first-aid kit. The best way you can figure out exactly what to pack is to research beforehand what you and your pet will need. Getting caught unprepared can put a pin in your plans so look high and low. You can often find a lot of useful tips by reading over the internet to see what other pet owners wish they had brought along or what they found essential for that particular kind of trip. It might take some time but gathering all the right supplies will make your adventure together an enjoyable and safe one. You’ll certainly want to bring your camera along as well; you don’t want to miss snapping the perfect shot of Fido riding his first wave or Whiskers pawing at some exotic, deep-sea fish. At the end of the day, however you decide to enjoy quality vacation time with your furry friends and family, making sure they’re safe, well-prepared, and happy can ensure everyone has a vacation they won’t soon regret. Not only will your next pet-inclusive vacation encourage more family and pet bonding, but it can also expand your pet’s horizons beyond just your backdoor. Furthermore, once you’ve opened the door to pet adventures you’ll be surprised by just how many opportunities there are to include Fido and Whiskers. Be sure to take plenty of photos and definitely bring along some of treats.